Botanically, azaleas belong to the genus Rhododendron. Deciduous azaleas belong to the subgenus Pentanthera, and evergreen azaleas belong to the subgenus Tsutsusi. For hundreds of years azaleas have been hybridized, which means that they have been crossed between species or hybrids, producing over 10,000 different azalea plants. The Encore azalea was developed by Robert E. (Buddy) Lee in the 1980s. He cross-bred traditional azaleas with Rhododendron olhamii, a rare Taiwanese azalea. He wanted an azalea that bloomed multiple times throughout the growing season. Buddy Lee has developed 23 varieties of Encore azaleas, hardy in zones 7 through 10. The Encore azalea is the only azalea that blooms three times a year, as opposed to other azaleas, which bloom only in the springtime. The Encore azalea begins its blooming cycle in the springtime as do other azaleas; it then continues to bloom mid-summer through late fall (until the first frost). Most azaleas prefer a shady location. The Encore azalea can be planted in full sun to partial shade (shade in the afternoon hours is preferred). If the Encore azalea does not receive enough sunlight, you will notice a reduction in the bloom cycles. 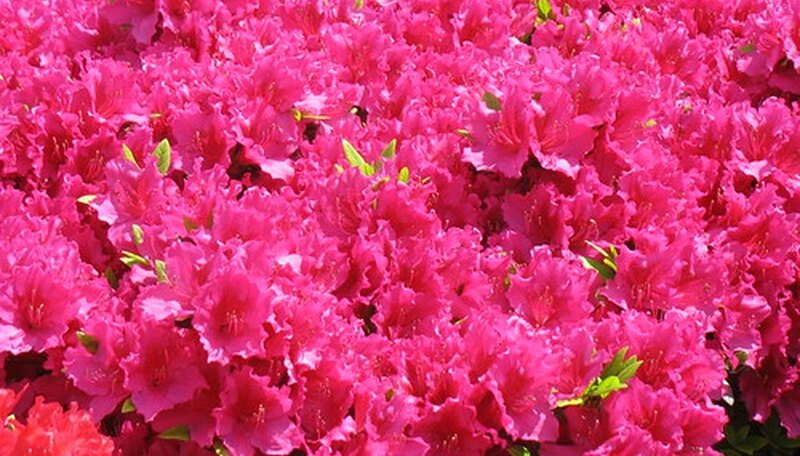 Encore azaleas have the same soil-condition requirements as traditional azaleas do. Azaleas require well drained, acidic soil (pH of 5.5 – 6). Plant beds for both traditional azaleas and encore azaleas should be mulched to maintain the moisture level during the heat of summer. Pruning requirements of both Encore azaleas and traditional azaleas are the same. They should only be pruned to maintain their shape; this should be done right after their spring flowering cycle. Encore azaleas do not need to be dead-headed like traditional azaleas do. Planting times are the same for both traditional azaleas and Encore azaleas. The best time to plant azaleas is in the fall, planting at this time gives the root system time to get established. They can also be planted in the spring and summer months but fall is preferred.